A wonderful story told from a 12 year old's point of view. 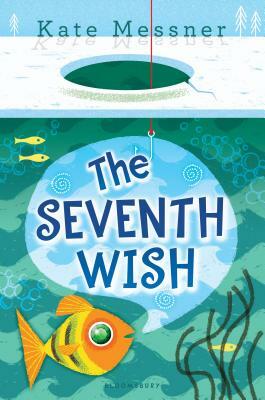 Family, school, irish dancing, a magic fish and an sister who is a heroin addict. Well written, emotional and uplifting. The book enforces the message that love, family, good friends and neighbors help us all to survive and thrive. With the same warmth and fun that readers loved in All the Answers, award-winning author Kate Messner weaves fantasy into the ordinary, giving every reader the opportunity to experience a little magic. Charlie feels like she's always coming in last. From her Mom's new job to her sister's life away at college, everything else always seems to be more important than Charlie's upcoming dance competition or science project. Unsure of how to get her family's attention, Charlie comes across the surprise of her life one day while ice-fishing . . . in the form of a floppy, scaly fish offering to grant her a wish in exchange for its freedom. Charlie can't believe her luck until she realizes that this fish has a funny way of granting wishes, despite her best intentions. But when her family faces a challenge bigger than any they've ever experienced, Charlie wonders if some things might be too important to risk on a wish. Kate Messner is the author of The Brilliant Fall of Gianna Z. She teaches junior high in New York, where she lives with her husband and two children.